Get all 7 of the 'Word + Creation' prints as a discounted bundle! This bundle is easy to frame and display on your walls, coming in 4x6, 8x10 and 11x14 sizes. 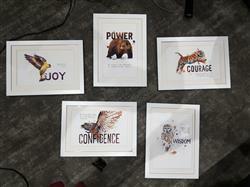 The bundle features 7 original artworks with watercolor illustration of animals and accompanying verse. 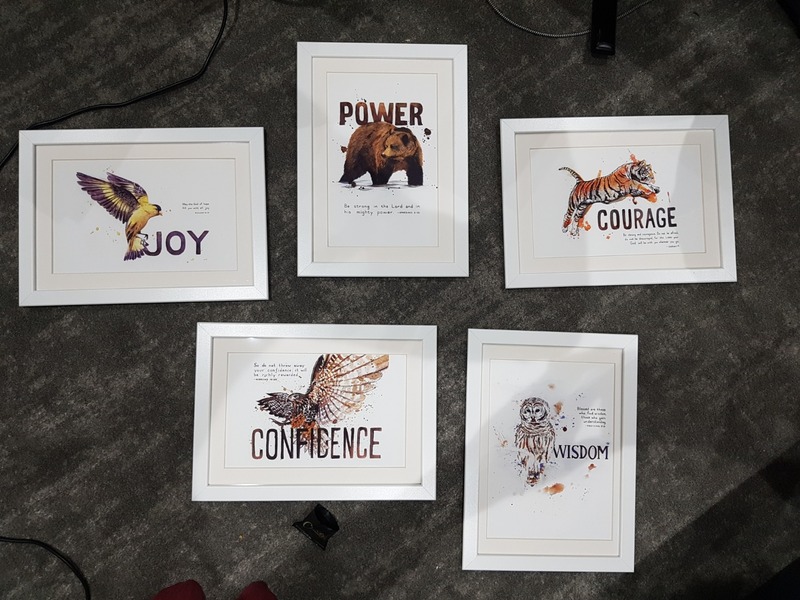 Frame them together for a beautiful set, or give them each as individual gifts to friends and family. A friend of mine got this set and I loved the splash of color and life they added to his living room, so I got it for my apartment. They arrived on time and I love how strong the paper they are printed on is, it won't bend easily and looks amazing when framed. I am overall very pleased with this purchase and I look forward to buying more items from here! I am extremely pleased with my order. It arrived quickly, was packaged well and even contained a nice surprise/free gift. It is amazing what people can do when they follow God's leading. Thank you for sharing your gift with all of us! So pleased with the bundle of prints, they are stunning quality and I can't wait to get some more. Order was received in a timely fashion as promised and it’s absolutely beautiful!! I have been admiring these pieces for awhile so beautiful and inspirational! Got them as gifts for my adult children. Glad I went with the larger prints. They are a perfect size. The package arrived quickly and in great shape. Thank you!